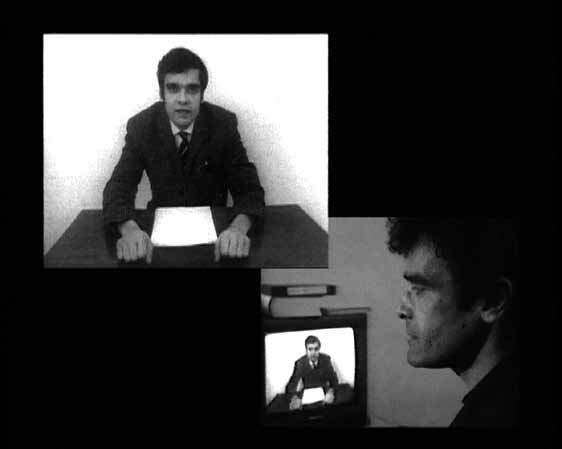 Harun Farocki, 1944–2014often accompanied by texts. From his first militant films, his first creations for television, and his first critical writings onwards, a theoretical and materialist concern sustained his intentions, had always addressed themselves to the medium that received them. And so he studied the way people saw the Vietnam War, and exposed its conditions of visibility (The Inextinguishable Fire, 1969; Something Becomes Visible, 1982). An early version of his most important film, Images of the World and the Inscription of War (1988), bore the title Bilderkrieg (War of Images). Farocki devoted almost two years to this montage, trying to properly place the aerial shots the Americans had taken of Auschwitz in 1944, in order to bomb the factories that were situated within the vicinity of the camp. He knew how to show us what, at a certain moment of history, was not so much hidden as invisible. A great cinephile, Farocki guarded against his archaeology of technical images turning into an apocalyptic magic show or ideological critique. Like a weaver, he could think through each shot and place each word. Puppet master [montreur] of his era’s shadows, more than anything Farocki was an amazing editor [monteur]. In his television and In one of the last electronic letters that Harun Farocki sent me this summer (his emails were often genuine letters), he remarked on the World Cup and Germany’s victory over Argentina, pointing out the headline of Germany’s major tabloid: ‘Bild had “You Are the Pope, But We are the Foot God” – a title I’m sure they prepared long in advance, those sneaky Springer House boys.’ Harun Farocki was in the habit of making remarks like this. He was preoccupied with the slogans, brand imagery and visual culture of our age as much as he was with the disappearance of labour in post-industrial society. The great German documentarian majestically handled this last point, which has always been central to his work, in his film essays (As You See, 1987), as well as in his ‘direct’ documentaries (on the various ways of making bricks, or on the creation of architectural models). He always had a taste for what Kracauer, in the 1920s, called the ‘cult of distraction’. In his audio-visual explorations of the old and new worlds of images Farocki dug up moments of illumination, without ever condescending. From the archives of the present, he sought to raise a potential for reflection to the surface. Doing entirely without commentary, he would analyse the iconic status of football in the age of digital surveillance (Deep Play, his twelve-screen comparative installation, was produced for documenta 12 in 2007). Harun Farocki loved to dissect the work of the media, the films and the machines of vision, and to study artisans, workers and the commercial world. Though he enjoyed puns and witticisms in conversation, he remained extremely rigorous and serious in his work. Ever since the 1960s, and throughout his life as a film-maker, essayist and artist, Farocki had analysed the apparatuses of photographic and post-photographic images, their regimes of affection and signification. His work includes about 120 audiovisual productions, video productions, he retained a film-maker’s spirit. And with his increasingly successful integration into the art world (he had been doing installations since 1995), Farocki was able to evoke the cinema, that other space that had marked his way of thinking in an essential fashion. A museum or a gallery was, for him, a laboratory, an experimental testing ground in which heterogeneous times could be connected together, and in which works could persist in a state of elaboration, films in a state of montage. For his exhibition with the artist Rodney Graham, HF|RG, at the Jeu de Paume, he set up a showcase with ‘his’ film reviews: Filmkritik, of which he had been an editor and tireless salesman, and Trafic, the review that had hosted him in France, and with which he so liked to collaborate. Having learnt his lessons from Lang, Bresson and Godard (on whom he had written a book, with Kaja Silverman), Farocki understood the extent to which the viewer makes the work. What he took from Brecht was a mistrust of the supremacy of content, and this pushed him perpetually to rework the filmic (and videographic) essay, and to keep his distance from purely fictional genres. His generous network of collaborations afforded him some secret gardens, and a place among the cinema of actors: the Berlin film-maker Christian Petzold, a former student of his, used to solicit Farocki as a co-author of various screenplays, the most recent of which was Phoenix. Farocki was concerned with the function of public space as well as the forms that words and images take on there; this is why what interested him most of all, in his dialogic portrait of thinker Vilém Flusser (dating from 1986), were the ways in which the verbal and the visual are imbricated in one another. The conversation with Flusser hinged on an analysis of the front page of a copy of the Bild-Zeitung (as the newspaper was called at the time). While Flusser focused on the magic that we confer on words and on the pensive power of technical images, Farocki offers a clever commentary on the rhetoric of slogans that is worthy of Barthes. Farocki had the idea of putting together a thesaurus of filmic gestures, aided by his cinephilic memory, and by the pleasure and ease he brought to analysis. He once invited me to come and give a talk in his course at the Academy of Fine Arts Vienna, where he was a professor, at which he ended up literally snatching a short film by D.W. Griffith out of my hands, to deconstruct it and comment on it shot by shot. A little later, we could admire, in his Berlin gallery, his analysis of the function of this same film-maker’s use of doors and windows. The shots were integrated into a ressemblage; there were just a few intertitles; his analysis had become visual. At the age of 70 Farocki was more productive than ever and had garnered international fame. Eine Einstellung zur Arbeit (Labour in a Single Shot), the fruit of a series of workshops that he had conducted at various locations around the world with his wife and collaborator Antje Ehmann, was recently shown at the Folkwang Museum in Essen, under the aegis of the 2014 Ruhrtriennale, and at the Boston Center for the Arts. The project brings together remakes of the Lumière brothers’ emblematic film La Sortie des usines Lumière à Lyon, the first film to show a crowd, and the film that served as the starting point of a compilation film that was created to celebrate cinema’s centennial in 1995 (La Sortie des usines). To film work at the beginning of the twenty-first century, in one shot, and thereby seize an individual act at the heart of an apparatus of production destined for transformation: this is the challenge that this last anthropological survey of gestures confronts. Berlin’s Hamburger Bahnhof museum, this summer, hosted the screening of Serious Games, a virtuosic study of the pedagogical and therapeutic apparatuses that prepare American soldiers for the wars under way in Iraq and Afghanistan. And his final cycle of installations, Paral els, an illuminating study of the history of imagery in video games and their cinematic heritage, was presented at the beginning of the year at the Ropac gallery in Paris. This piece first appeared in Cahiers du Cinéma 703, September 2014, pp. 56–7. It is translated here with the kind permission of Cahiers du Cinéma. 1. ^ A selection of Farocki’s writings were published in German and English in Berlin, at Vorwerk 8, in 2001 (Nachdruck/ Imprint. Texte/Writings). 2. ^ Harun Farocki, ‘Vilém Flusser: Das Universum der technischen Bilder’, Zel uloid 25, 1987.